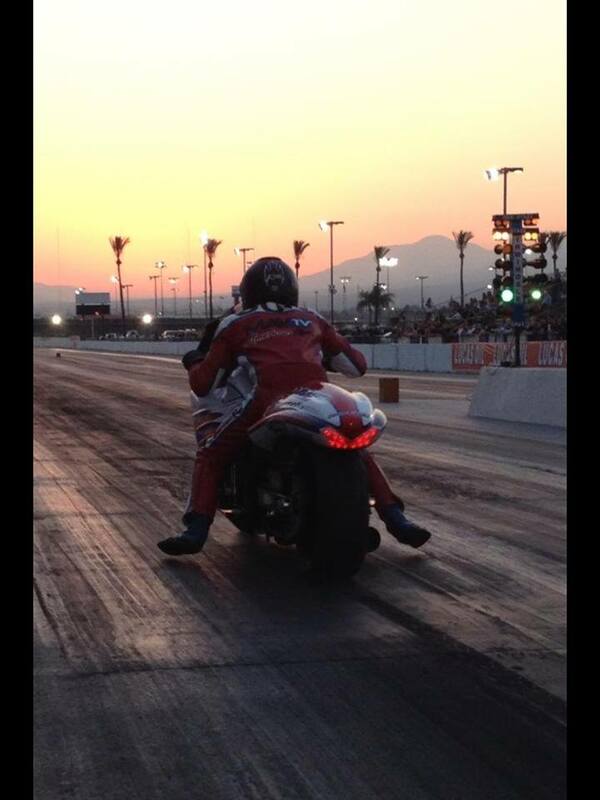 Tomorrow Dakota will be at Irwindale Drag strip, and as right now he is the points leader, we shall be cheering him on even more to accomplish his goals that he has set out for, the last 2 meets Dakota had at irwindale, he won- so lets hope this will be a ti-fecta for him. Come on 7111, we know you are capable, lets hope track conditions are perfect for him. his Grandpa is Crew chief ( Bob Pine )- and makes sure everything is all set for the lad to hit the loud button when he gets on the track. 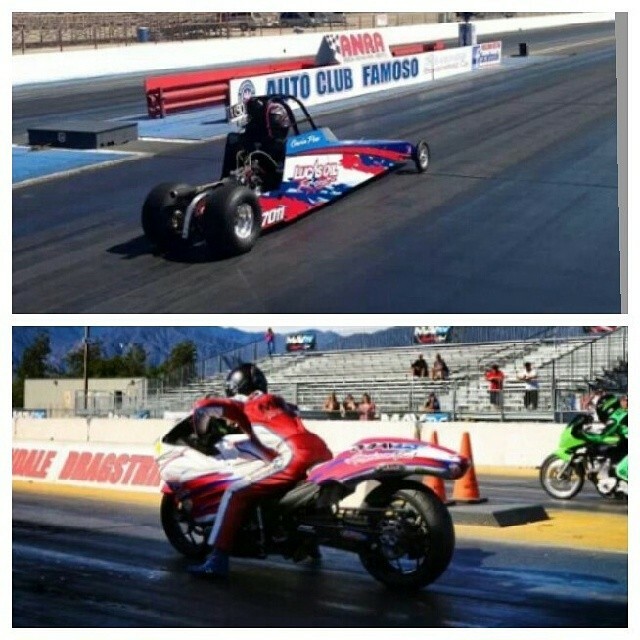 Dakota Kai Sun is racing against his pops too- Aaron Pine, and this time, they are both racing on the same model machines, ZRX1400, Aaron’s is in Blue and Dakota is in Red, these will be a good match up as pretty much set up the same. Aaron will be on his ZRX racing for the first time, as this is a brand new machine and will be great to see how the bike dials in at the track, he had a few runs on Thursday and hopefully all will be well. 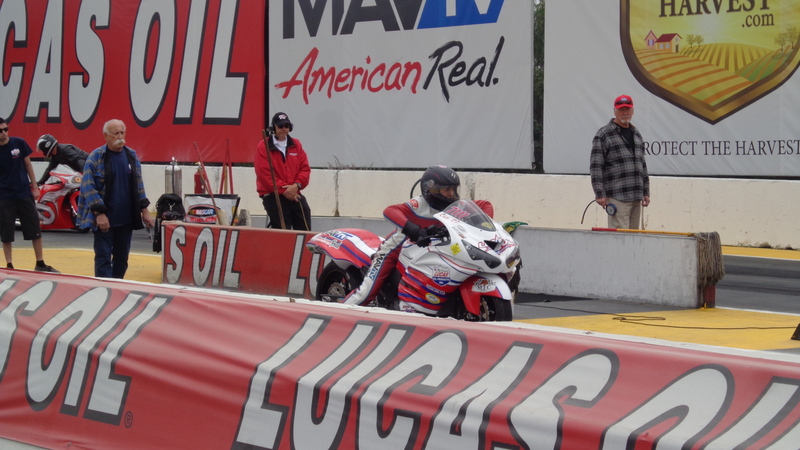 I want to thank Lucas oil, Mav Tv, Muzzy, Penske Racing Shocks, Shinko Tires for giving these guys the chance to show what they are made of, They Both race for the Bronze star racing group and Both have become Champions with them, so- this must be a great formula. 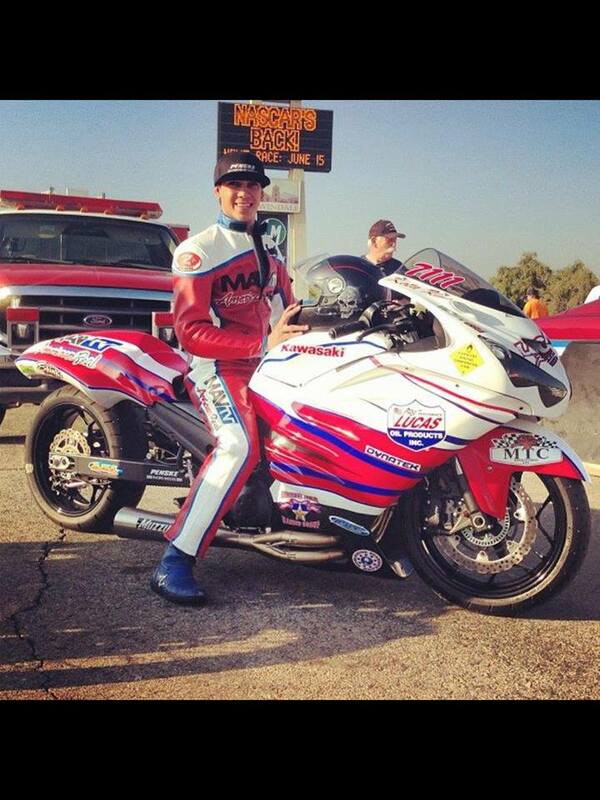 Dakota Kai Sun is only 19 and I am sure that people all around the drag Racing fraternity will know his name sooner or later and can get to race all around the USA, he is from a racing Family, as i said, his dad races the same model bike and a Gixer too in mid 5’s, and now , Dakota’s little brother Gavin pine is racing mini dragster series and he won his first event last meet too, rare to have that these days and we all welcome any support for them. So- if you can make it out to Irwindale on Sunday, come and give Dakota a shout and a wave as he rides his Bronze star Racing group Kawasaki ZRX 1400 up the strip to a win. I shall be there with his Mum Jennifer ( my Girlfriend) and we shall be posting about how the event goes through out the day on Facebook too. Send positive thoughts and be great if we see ya there, Go Kota Kai!!!!! 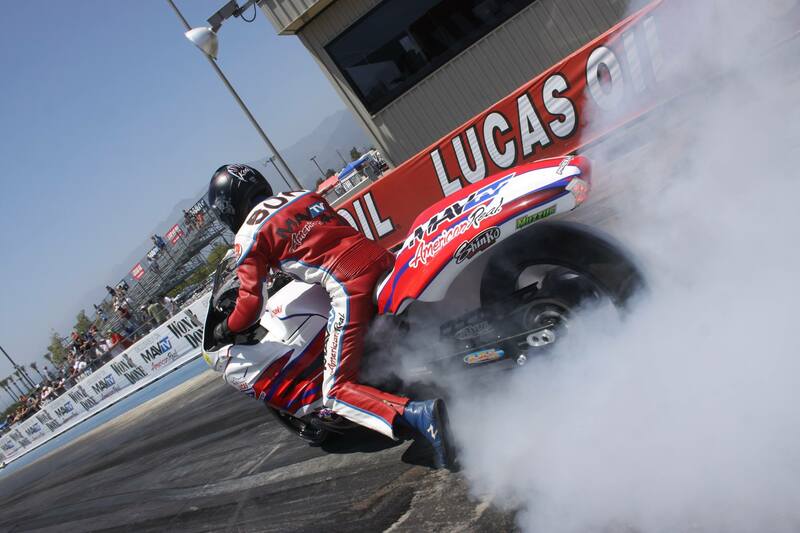 Again in 2014, NHRA Summit Series racers will be charged a one-time fee of $50.00 for bonus Summit Series Points if they chose to purchase them. Summit Series competitors not paying the one-time fee prior to race #4 will still receive their regular points but will not be eligible for bonus points.Bonus points are NOT retroactive. The points are awarded based on when the bonus points fees are received.Bonus point funds will pay for the Top (5) racers in each class entry to the 2014 Summit Series Finals. 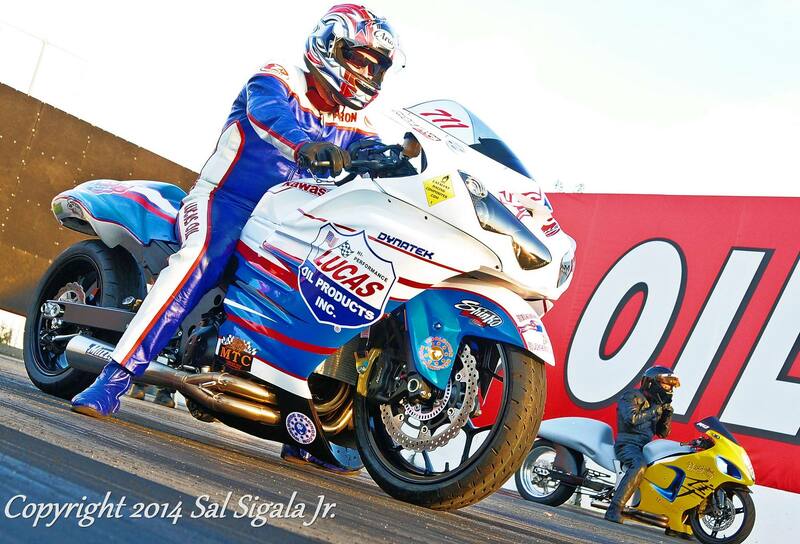 Racers finishing in 6th place or lower will pay their entry fees for the 2014 Summit Series Finals. 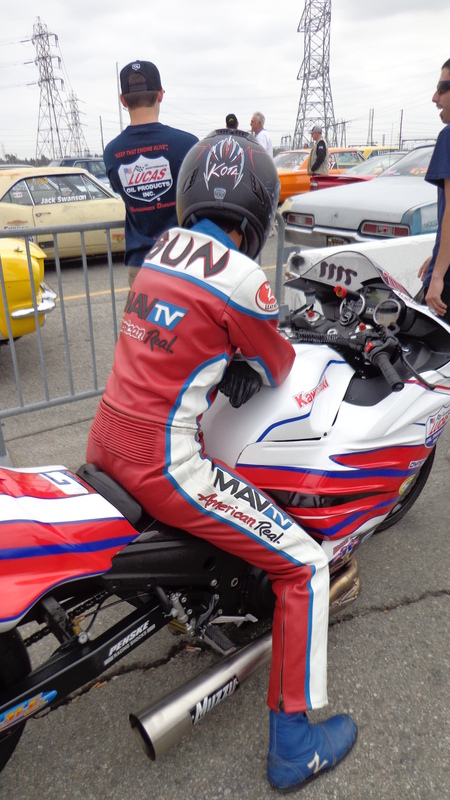 This entry was posted in Blog and tagged brone star racing group, carpys cafe racers, drag racing, irwindale drag strip, kawasaki, Lucas Oil, mav tv, motorcycle racing, muzzt, nhra, Penske Shocks, shinko tires, summit, zrx.